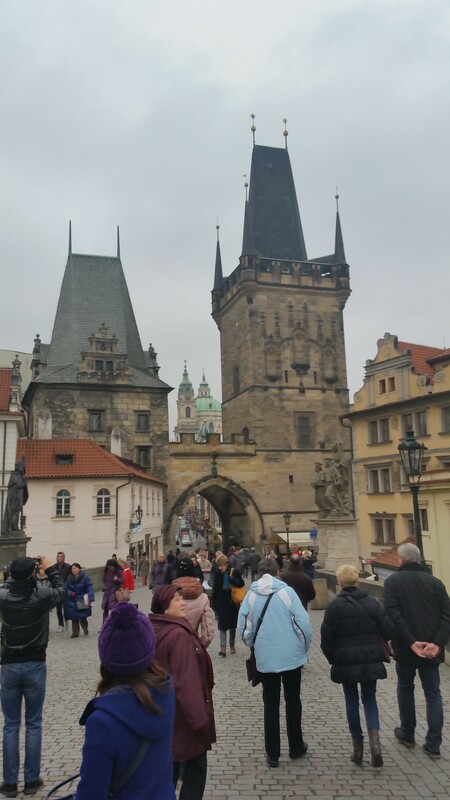 This past weekend I had the pleasure to go to Prague. 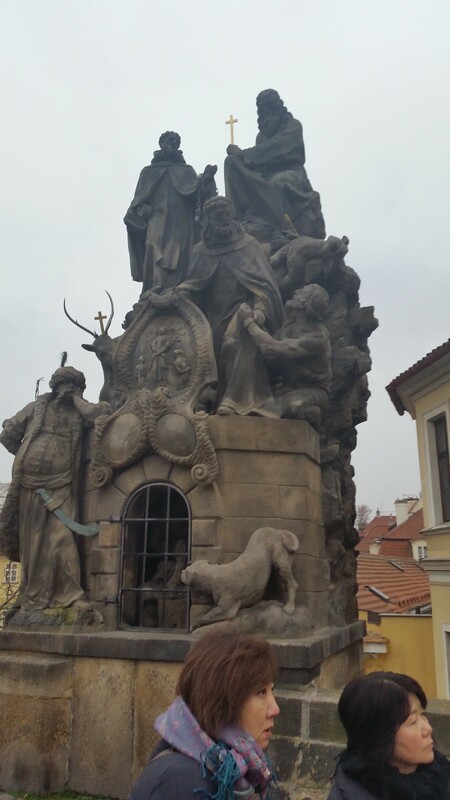 Prague was one of those cities on my short list of places that I for sure had to visit. 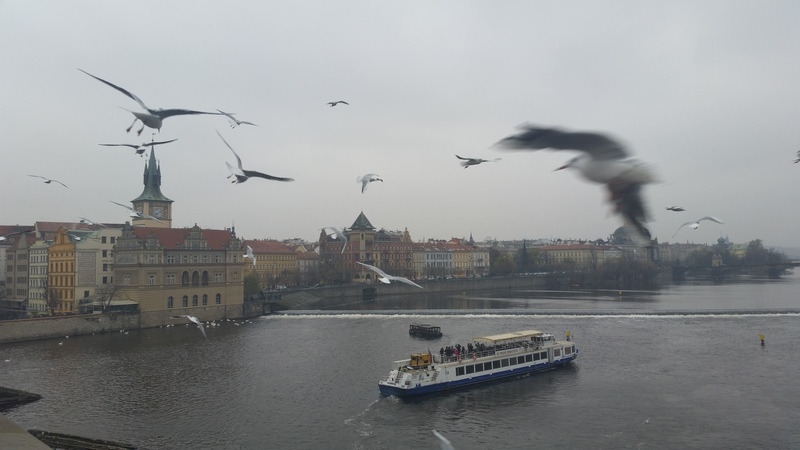 I don’t know what it is about Prague that is so intriguing to me…maybe it is because it is the biggest city in Europe not affected by World War II which means original buildings. 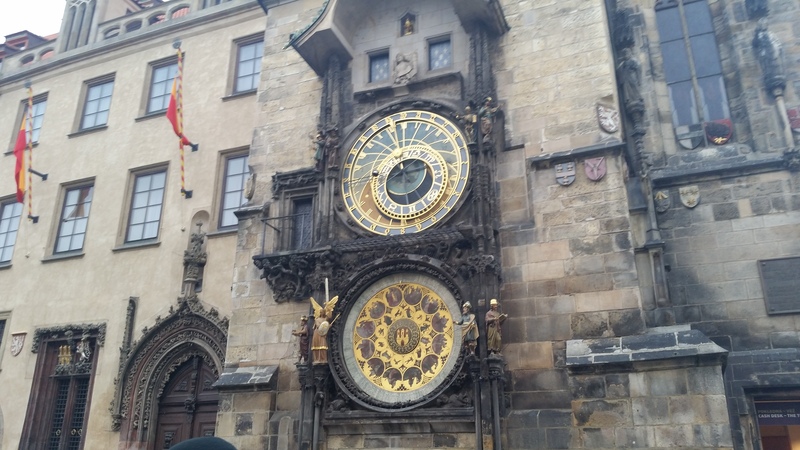 Either way, Prague is one of those cities that I would highly recommend you visit in your lifetime….and SUPER cheap. It is kind of confusing though to use the Czech currency because 100 Koruna is the equivalent of 5 USD which is hard to adjust to. 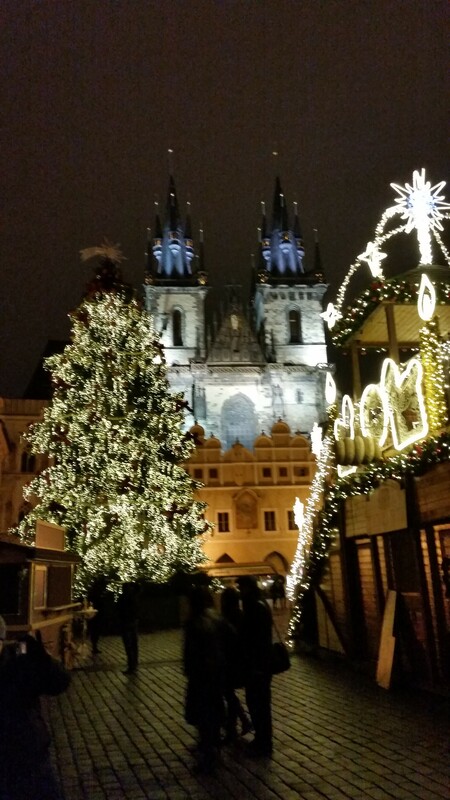 I got to Prague Friday afternoon and since it gets dark really early now, there wasn’t much to see. 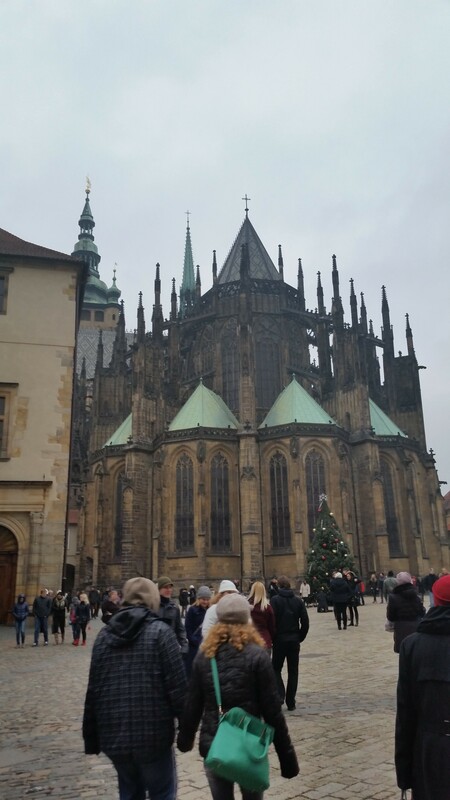 EXCEPT, the infamous European Christmas Markets are in full swing so I had the pleasure of walking around Prague’s market in the Old Town Square. The food was amazing to say the least. 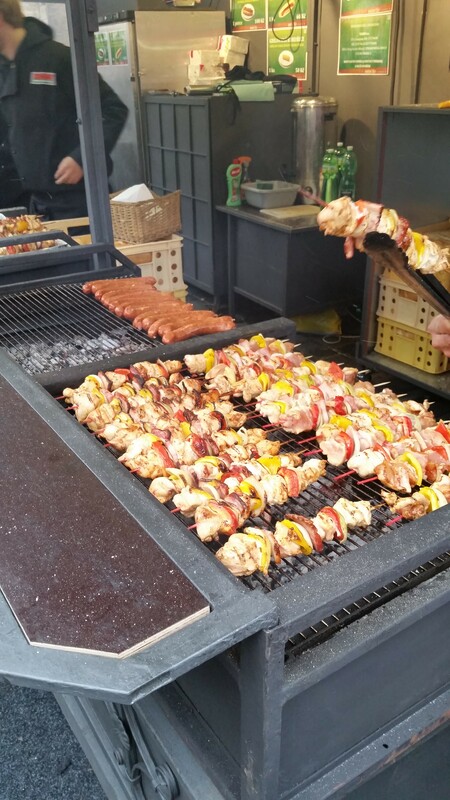 Everywhere you looked there was a stand selling sausages, ham, chocolate….you name it and they had it. Food that will make your mouth water just looking at it. 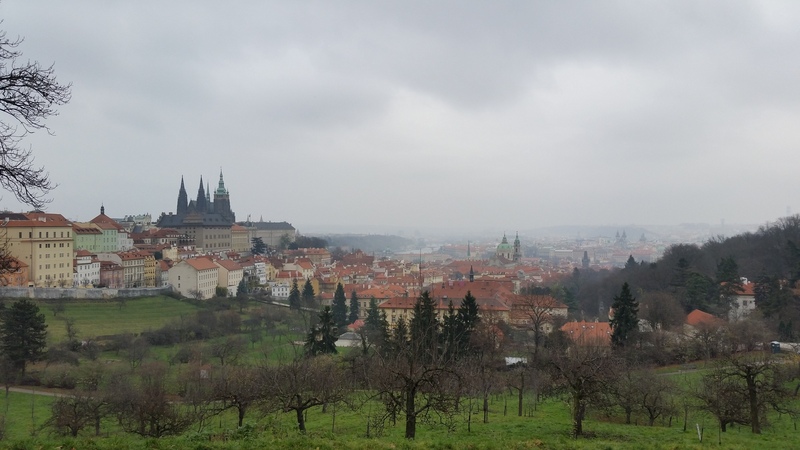 View of Prague. 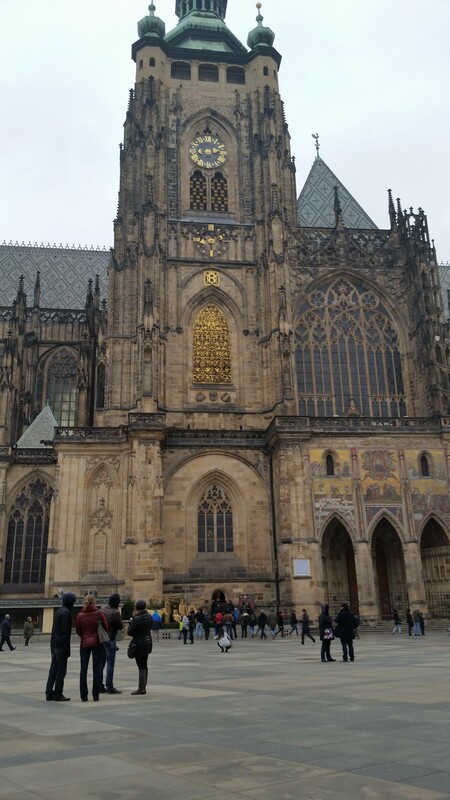 Prague Castle on the left side of the picture. I met a couple of Aussies and Americans at the hostel that night and like me, they were kind of burnt out when it comes to cities so we looked for a place to hike the next day. 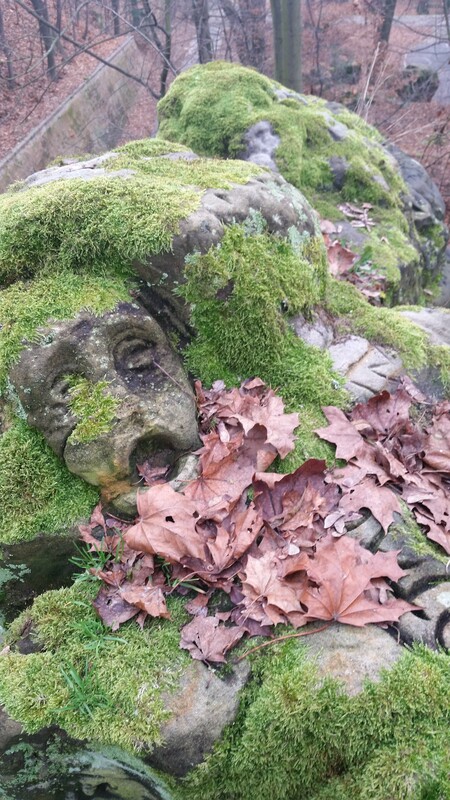 We ended up finding this place north of the city called Bohemian Paradise. 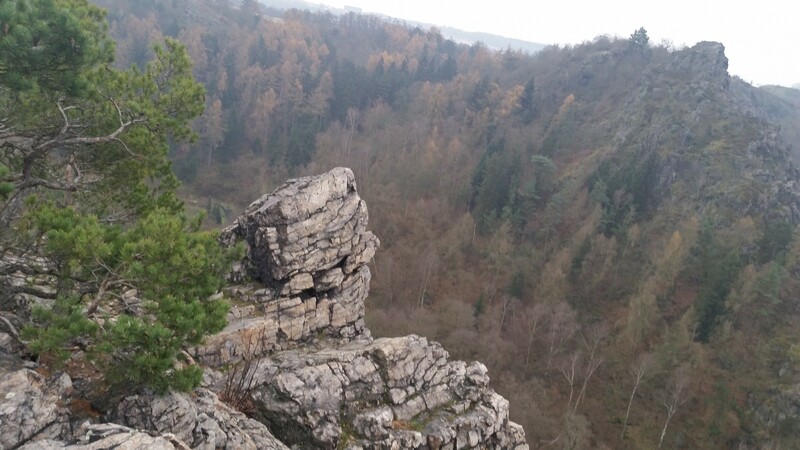 It is a natural park in the Czech Republic that is known for its natural sandstone and great features. The hike was long and the weather wasn’t that great (fog), but it was nice to get out the city and into nature with some cool people. My flight was pretty late in the day on Monday so I looked for a place to hike to kill some time. There actually ended up being this really cool natural park between the city and the airport which worked out perfectly. There are the big rock cliffs that you could climb and some great trails. It was pretty good way to end the trip. Exams are coming up this week so I have been trying to hit the books which has made it hard to blog. I have 5 exams (Booooo) but I stayed on top of my studying so they shouldn’t be that bad. Exams end the 17th and then I will be off to either Antwerp or Bruges, Belgium for a few days then back to the States for Christmas. 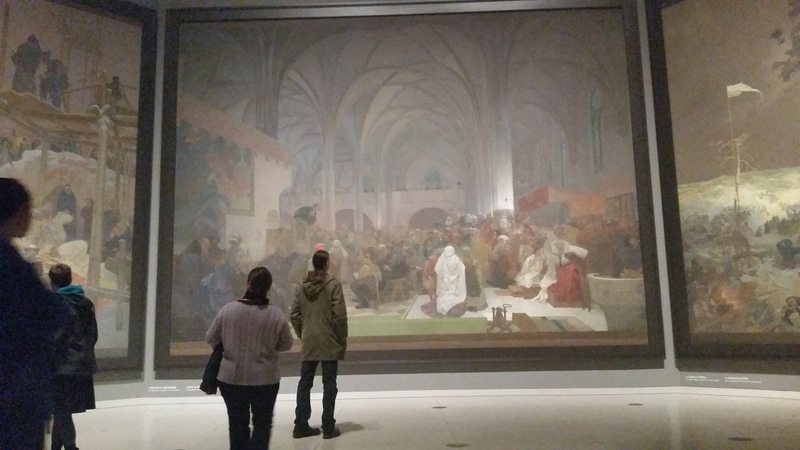 This entry was posted in Uncategorized by cmseve01. Bookmark the permalink.